More adults than ever are getting braces these days. That’s a good thing, because orthodontic treatment does more than improve the way your teeth look. Did you know that crowded, gapped, and misaligned teeth can actually take a toll on your overall health and wellbeing? It’s true. That’s why at Enclave Dental, we are happy to offer Invisalign, clear braces for a healthy, beautiful, long lasting smile. Keep reading to learn more about the surprising need for orthodontic treatment. The way your teeth line up affects more than just the way you feel about your smile. When your teeth are crowded, it’s difficult to remove plaque and leftover food particles every day. You may be reluctant to floss between these tight spaces, or it may be almost impossible to maneuver the floss between crowded teeth at all. 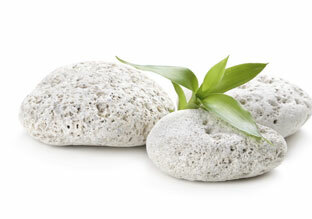 Bacteria, plaque, and tartar collects in these areas as a result of insufficient cleaning. Plaque and tartar buildup causes periodontal disease, the condition that has been linked to a number of health problems. Heart conditions, respiratory problems, and pregnancy complications are all associated with gum disease. In the beginning, gum disease causes bleeding, red, tender gums. Persistent bad breath and a bad taste in the mouth may also occur as a result of the gum infection. The bacteria causes the gum tissue to disintegrate, resulting in gum recession, bone loss, and eventual tooth loss. Dental misalignments may affect the strength of the surrounding teeth, too. When your teeth don’t fit together properly, some receive excessive impact or wear while biting, chewing, and speaking. Teeth may form small cracks that worsen with time. When your teeth line up the way they should, you will find it is much easier to properly brush and floss. That means it’s easier to remove plaque and prevent tartar buildup. Your gums fit properly around well-aligned teeth, too, which may lead to better periodontal health for years to come. 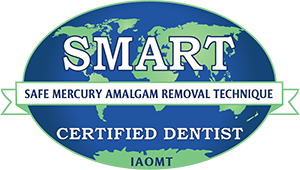 Dr. Thomas is pleased to be able to offer Invisalign for patients who are dealing with dental misalignments. 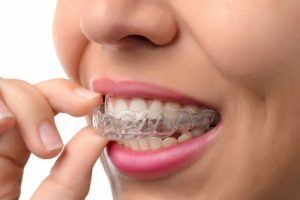 A good option for teeth that are crowded or gapped as well as overbite, crossbite, and underbite, Invisalign uses a series of clear plastic aligners to gradually shift teeth into the proper position. They are removable, too, so you can continue to eat your favorite foods and clean your teeth without any tricky maneuvering. The average Invisalign treatment lasts just one year, and is more convenient than traditional braces. Wear each custom aligner for two weeks before advancing to the next in the system. Visit Enclave Dental for a checkup every six weeks, and you will gradually progress your way to straighter, healthier teeth! Would you like to discuss Invisalign treatment? Most patients who wish to benefit from clear braces are excellent candidates for Invisalign. Please get in touch with our office to find out more. Request an appointment today!